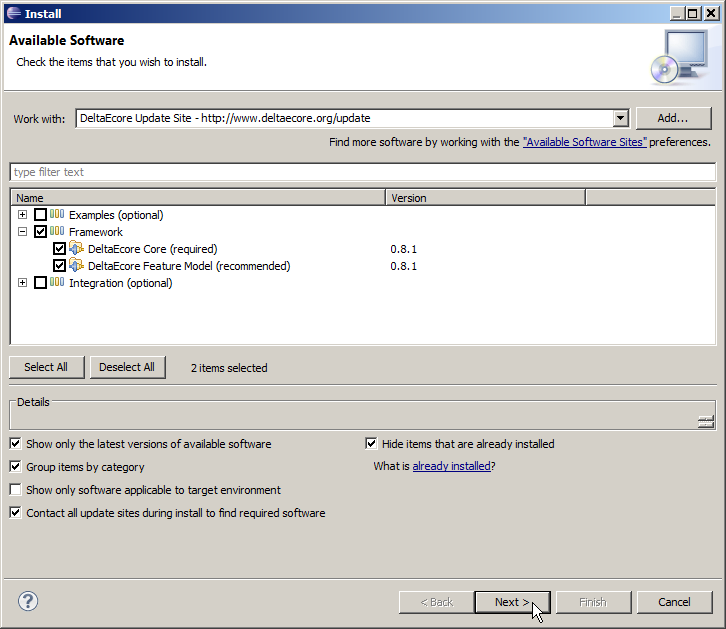 To install DeltaEcore from the update site, you have to use the Eclipse update mechanism. Select the main menu entry Help -> Install New Software…. In the following dialog, click the Add… button. 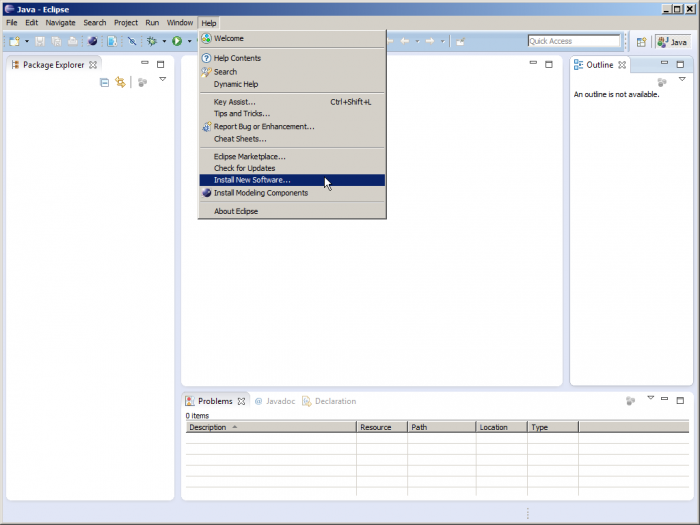 Select at least the framework features to install DeltaEcore.